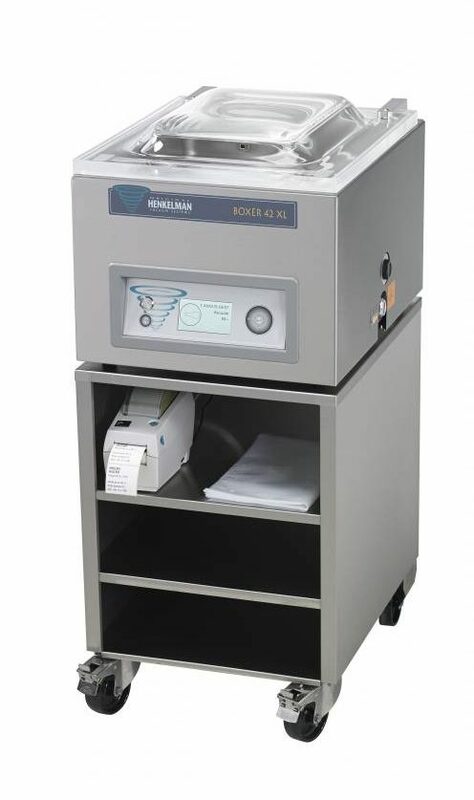 The Henkelman Vacuum machine trolley comes flat packed with simple assembly instructions. 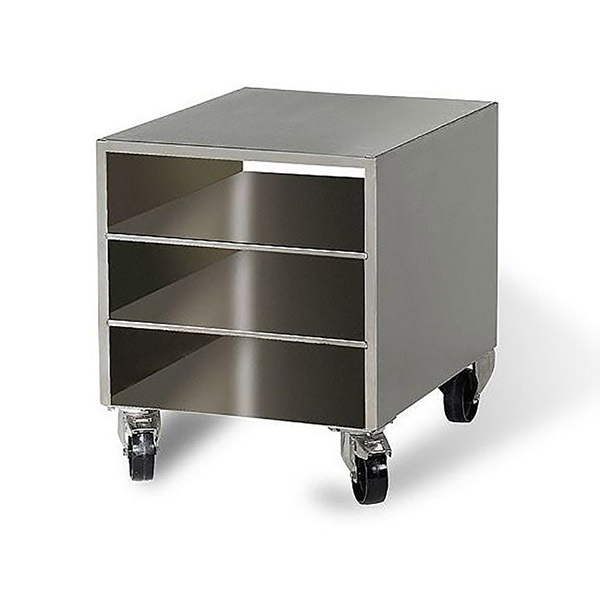 Made of Stainless steel with high quality lockable castors on the front and fixed castors on the rear. 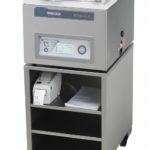 The universal trolley is suitable for the table top Jumbo and Boxer 35 and 42 models and ideal to increase the mobility of the machine, to store labels and bags and use space optimally.